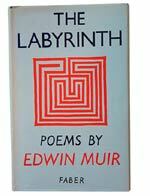 Edwin Muir, The Labyrinth: Poems. Arthur Rimbaud, Prose Poems from Les Illuminations. Ezra Pound, The Pisan Cantos. Arthur Koestler, Darkness at Noon. W. H. Auden and Christopher Isherwood, The Ascent of F6.